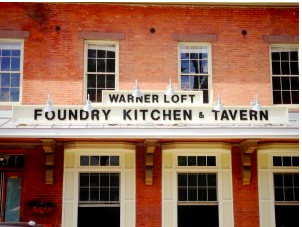 Blog Brick Veneer Series: The Foundry Kitchen and Tavern - Ct. Brick Veneer can harken back to its past as a structural element and the Foundry certainly has an interesting pas. Formerly known as The Red Brick store in 1908, the building structurally changed very little over the past 100 years. It originated as the first general store here in Newtown, CT where Marilyn Monroe supposedly shopped on a regular basis. The bricks that make up this building were actually used as counterweights for ships crossing the Atlantic Ocean to England. The bricks were placed at the hull of the ships to them from weighing down during their voyage to America. Moving along in history, to the mid 70’s, this building then changed hands several times in between, becoming a video store and then home to several restaurants. Aside from the many changes this space has seen, the fact that it could be haunted, still holds true today. Are the hauntings a bit of New England lore? 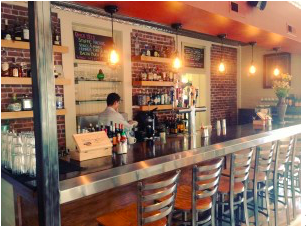 No one really knows…but what we DO know is that the look of classic brick veneer is timeless and that is certainly one reason why businesses in Connecticut still find this particular piece of architecture, the perfect spot for a bustling restaurant. Brick became popular in the late 1900’s as a building material because many people found that it was far less expensive than other options available during that time. 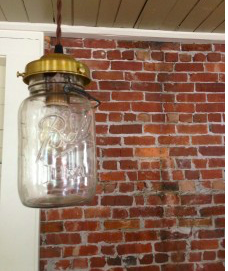 As an interior element, people chose to expose the brick in older homes as opposed to repairing or replacing the damaged plasterwork. Even back then, it was an accepted look. Today, we see it as less structural and more of a cool “skin”, that adds both weight and permanence, which is why we LOVE it as a choice of cladding. Bottom line, it shows taste, care and the timeless quality many people are looking for in both interior and exterior projects. More stories to come from us here at Stone Farm on the topic of Classic Brick Veneer and why we love it so much. 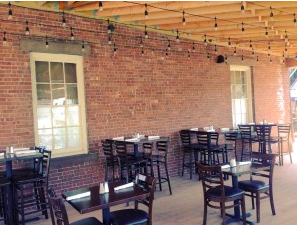 Here is a cool parting photo from the new exterior patio complete with timeless old brick at the Foundry Kitchen and Tavern in Newtown, CT. If you love the look and feel of classic brick, we also offer a lightweight thin brick veneer, which is essentially a full brick sliced thin for use in many interior applications. 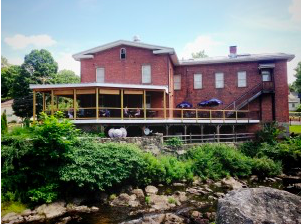 We currently stock our Blackstone Valley Blend, taken down from a mill built before 1910. The colors consist of a mix that ranges from ‘standard reds’, ‘darks’ and ‘whites’. We mix them in a consistent percentage of each to keep a consistent look. We are hoping that all of this information sparks your interest and creativity! We look forward to hearing from you so we can help set your design plans in motion! Hello. I have checked your stonefarmliving.com and i see you’ve got some duplicate content so probably it is the reason that you don’t rank hi in google.